Join us for a magically mischievous bike parade through Golden Gate Park celebrating Albert Hofmann's historic bicycle ride in 1943! If you've been, you know what a wonderful adventure it is. If you haven't, come celebrate with us! Who: YOU! Ecstatic dress encouraged ! Why: Because we love FUN. And Bikes. And riding bikes. This magical image from the multi-faceted imagination of Michael Divine will be released as a limited edition vanity blotter (yes, that kind of blotter) and helps support the work of MAPS.org. Note: All sales are final. 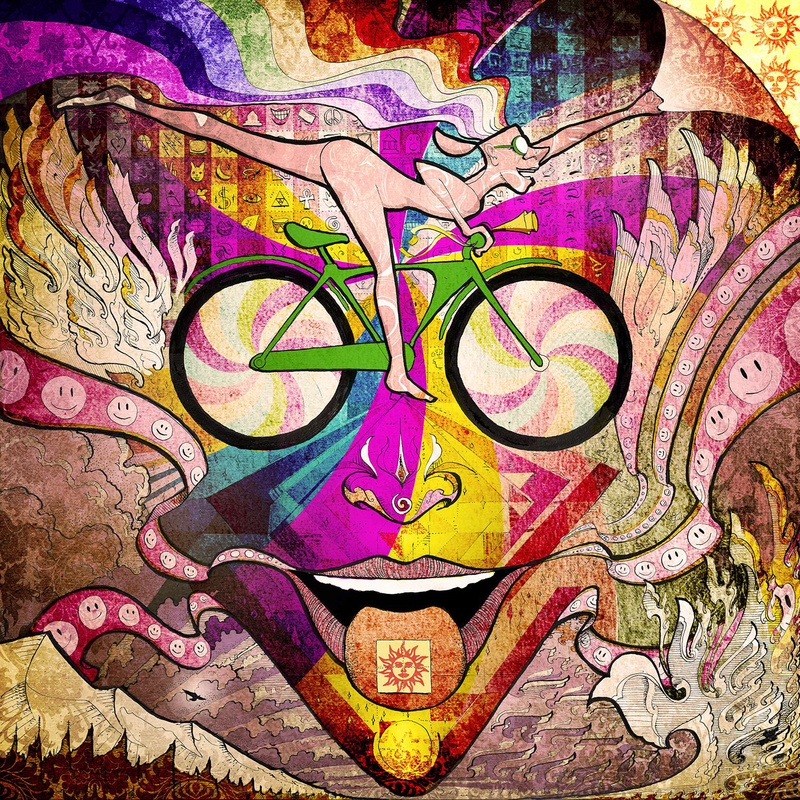 Print sales end the day after Bicycle Day or when they're gone, whichever comes first. Prints will be shipped the following week. Image (c) by Michael Divine. Use by Permission Only.